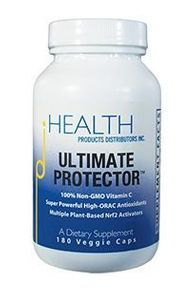 People who have Kidney Problems report that their symptoms have decreased after taking an Nrf2 activator. Following the testimonials are current research articles that report new information about the cause of Kidney Problems and how Nrf2 activators can be effective in treating them at the cellular level where they start. Necrotizing and crescentic rapidly progressive GN (RPGN) is a life-threatening syndrome characterized by a rapid loss of renal function. Evidence suggests that podocyte expression of the transcription factor peroxisome proliferator-activated receptor γ (PPARγ) may prevent podocyte injury, but the function of glomerular PPARγ in acute, severe inflammatory GN is unknown. Here, we observed marked loss of PPARγ abundance and transcriptional activity in glomerular podocytes in experimental RPGN. Blunted expression of PPARγ in podocyte nuclei was also found in kidneys from patients diagnosed with crescentic GN. Podocyte-specific Pparγ gene targeting accentuated glomerular damage, with increased urinary loss of albumin and severe kidney failure. Furthermore, a PPARγ gain-of-function approach achieved by systemic administration of thiazolidinedione (TZD) failed to prevent severe RPGN in mice with podocyte-specific Pparγ gene deficiency. In nuclear factor erythroid 2-related factor 2 (NRF2)-deficient mice, loss of podocyte PPARγ was observed at baseline. NRF2 deficiency markedly aggravated the course of RPGN, an effect that was partially prevented by TZD administration. Furthermore, delayed administration of TZD, initiated after the onset of RPGN, still alleviated the severity of experimental RPGN. These findings establish a requirement for the NRF2-PPARγ cascade in podocytes, and we suggest that these transcription factors have a role in augmenting the tolerance of glomeruli to severe immune-complex mediated injury. The NRF2-PPARγ pathway may be a therapeutic target for RPGN. Clin Sci (Lond). 2015 May 1;128(9):527-535. Therapeutic targeting of aldosterone: a novel approach to the treatment of glomerular disease. Numerous studies have established a role for mineralocorticoids in the development of renal fibrosis. Originally, the research focus for mineralocorticoid-induced fibrosis was on the collecting duct, where 'classical' mineralocorticoid receptors (MRs) involved with electrolyte transport are present. Epithelial cells in this segment can, under selected circumstances, also respond to MR activation by initiating pro-fibrotic pathways. More recently, 'non-classical' MRs have been described in kidney cells not associated with electrolyte transport, including mesangial cells and podocytes within the glomerulus. Activation of MRs in these cells appears to lead to glomerular sclerosis. Mechanistically, aldosterone induces excess production of reactive oxygen species (ROS) and oxidative stress in glomerular cells through activation of NADPH oxidase. In mesangial cells, aldosterone also has pro-apoptotic, mitogenic and pro-fibrogenic effects, all of which potentially promote active remodelling and expansion of the mesangium. Although mitochondrial dysfunction seems to mediate the aldosterone-induced mesangial apoptosis, the ROS dependent epithelial growth factor receptor (EGFR) transactivation is probably responsible for aldosterone-induced mesangial mitosis and proliferation. In podocytes, mitochondrial dysfunction elicited by oxidative stress is an early event associated with aldosterone-induced podocyte injury. Both the p38 MAPK (p38 mitogen-activated protein kinase) signalling and the redox-sensitive glycogen synthase kinase (GSK)3β pathways are centrally implicated in aldosterone-induced podocyte death. Aldosterone-induced GSK3β over-activity could potentially cause hyperphosphorylation and over-activation of putative GSK3β substrates, including structural components of the mitochondrial permeability transition (MPT) pore, all of which lead to cell injury and death. Clinically, proteinuria significantly decreases when aldosterone inhibitors are included in the treatment of many glomerular diseases further supporting the view that mineralocorticoids are important players in glomerular pathology. Blood Purif. 2015;39(1-3):84-92. doi: 10.1159/000368940. Epub 2015 Jan 20. Update on inflammation in chronic kidney disease. Despite recent advances in chronic kidney disease (CKD) and end-stage renal disease (ESRD) management, morbidity and mortality in this population remain exceptionally high. Persistent, low-grade inflammation has been recognized as an important component of CKD, playing a unique role in its pathophysiology and being accountable in part for cardiovascular and all-cause mortality, as well as contributing to the development of protein-energy wasting. The variety of factors contribute to chronic inflammatory status in CKD, including increased production and decreased clearance of pro-inflammatory cytokines, oxidative stress and acidosis, chronic and recurrent infections, including those related to dialysis access, altered metabolism of adipose tissue, and intestinal dysbiosis. Inflammation directly correlates with the glomerular filtration rate (GFR) in CKD and culminates in dialysis patients, where extracorporeal factors, such as impurities in dialysis water, microbiological quality of the dialysate, and bioincompatible factors in the dialysis circuit play an additional role. Genetic and epigenetic influences contributing to inflammatory activation in CKD are currently being intensively investigated. A number of interventions have been proposed to target inflammation in CKD, including lifestyle modifications, pharmacological agents, and optimization of dialysis. Importantly, some of these therapies have been recently tested in randomized controlled trials. Key Messages: Chronic inflammation should be regarded as a common comorbid condition in CKD and especially in dialysis patients. A number of interventions have been proven to be safe and effective in well-designed clinical studies. This includes such inexpensive approaches as modification of physical activity and dietary supplementation. Further investigations are needed to evaluate the effects of these interventions on hard outcomes, as well as to better understand the role of inflammation in selected CKD populations (e.g., in children).